The world economy continues to gravitate towards globalization; it is a juggernaut that is in no way weary of its relentless march! As of 2016, 45% of engineering employees of the top 10 spenders from each of the 13 major verticals were located out of non-HQ locations. 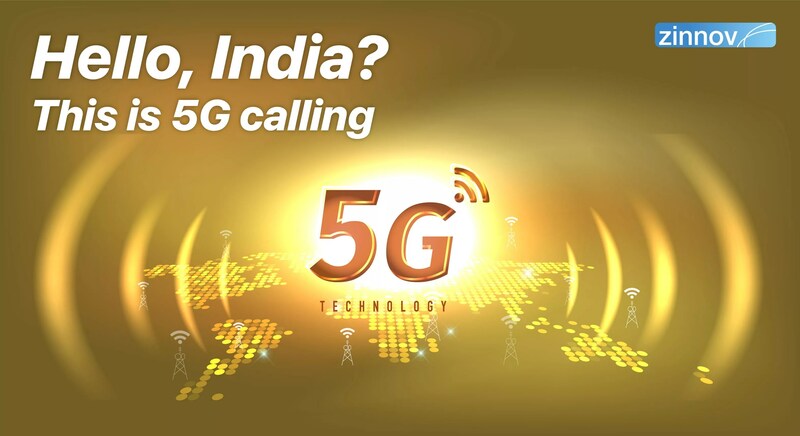 Globalization has become a favored move of many an MNC to explore possible avenues to innovate internally. However, with an evolving market landscape and intensifying competition, companies need to innovate and fail faster. 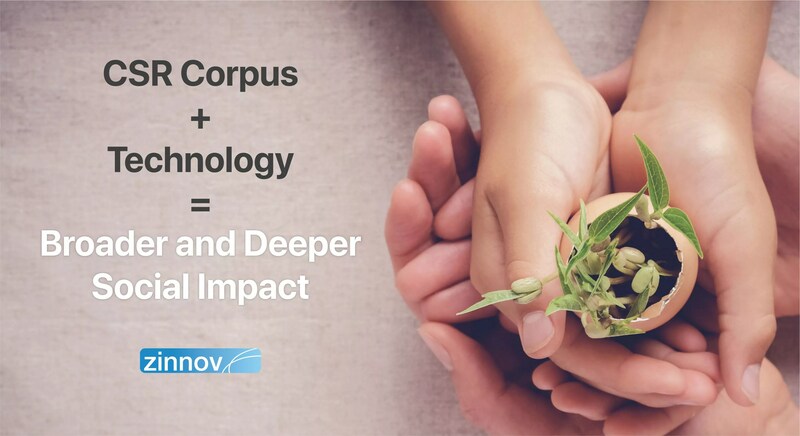 Through years of experience of working with numerous CXOs of global R&D organizations and observing a pattern in the kinds of challenges they face, Zinnov has developed ‘Global Engineering 2.0,’ a methodical approach to optimize the R&D organization and its global footprint. The approach assesses the current state, rebalances the R&D organization, and consolidates the global footprint, such that it supports business objectives while enabling the organization to invest in new areas. 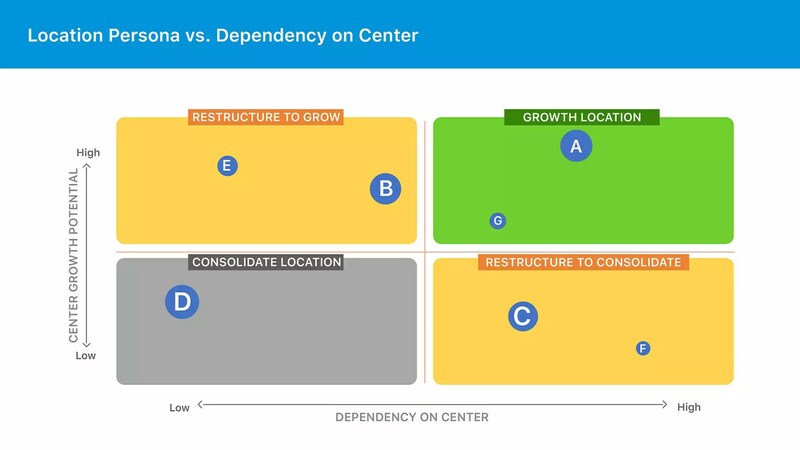 Location persona and dependency on global centers. The visual above is illustrative of point ‘2’. The location persona is a cumulative representation of factors such as the available engineering talent pool, peer and innovation ecosystem, cost of R&D, and government regulations and incentives that impact the growth potential of the R&D organization at a location. The rebalancing exercise enables CXOs to gauge the global centers’ standing relative to the HQ, thus allowing them to measure the latter’s dependency on the former. Each global center comes into inception due to a unique reason (acquisition, partnership, market proximity, talent availability, etc.) and purpose (customer support, technology development, etc.). Over time, the HQ builds certain dependency on each center due to factors such as talent present there, local and global business relationships that the center has built, revenue contribution, etc. The degree of dependency varies from center to center. This blog is an exercise to uncover factors that determine the ‘dependency on a global center’ by the HQ in greater detail. Several thought leadership pieces in the past have addressed the relationship dynamics between headquarters and its subsidiaries, or the power that a subsidiary wields over decision-making at HQ (Tatiana Kostova et. Al, 2016; Ram Mudambi, 2014). However, before implementing transformational initiatives to rebalance the R&D organization, it is also crucial to understand the parent company’s dependency on global subsidiaries, or in this context, the R&D centers, and factors which determine the dependency. As we will discern further along, the ‘dependency’ evaluation not only allows us to devise a strong transition strategy but also identify possible risks of any transition initiatives and outline an appropriate risk mitigation strategy. a) Skill Dependency: Our Global Engineering study suggests that it is important to answer questions such as, What is the R&D headcount at the location? Which are the critical resources and core/niche skills map at that center?, to determine how technologically dependent the HQ is on skills at this center. Take a look at an organization that has expanded its global footprint through acquisitions. However, this has the potential to create knowledge silos in different corners of the world. For instance, acquiring a company for the niche product or skills its workforce possesses, but often failing to integrate and transmit the acquired knowledge across the rest of the R&D organization. It is imperative to identify centers which have such knowledge silos and to have a knowledge transition and succession plan outlined, so that the company can reduce the risks due to high dependency on a specific center or individuals. 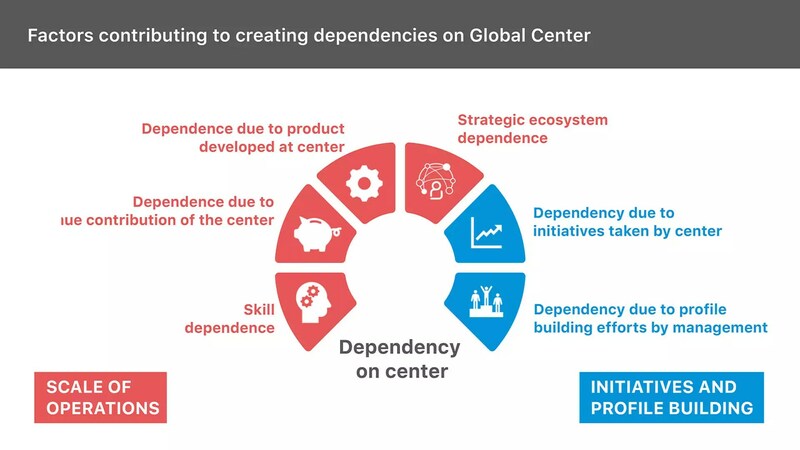 Another common scenario is when the global center scales, the dependency of the HQ on the center can increase significantly. E.g., as of 2017, about two-thirds of Amazon’s APAC R&D employees are located in two cities in India – Hyderabad and Bangalore. Clearly, this generates Amazon’s large dependency on its India centers. i) Products that are being developed at the center and their importance to the R&D objectives of the company. 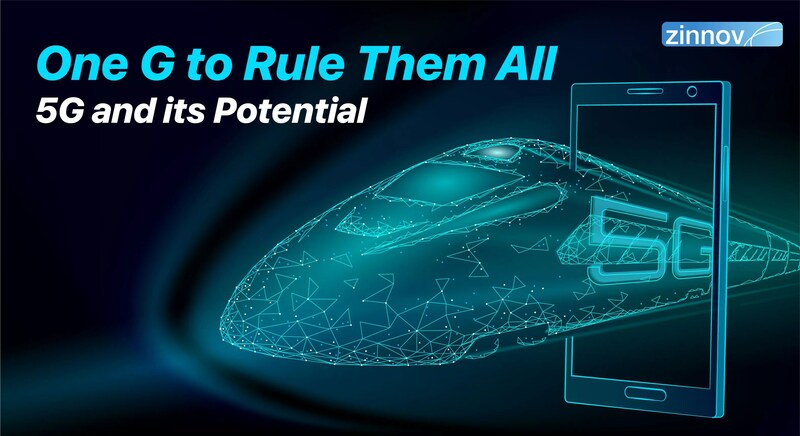 In many cases, product development is tied to a location due to the unique infrastructure required, government regulations, security reasons, etc. As a reverse case, in 2015, Alphabet (Google’s parent company), closed its Krakow R&D center due to infrastructure limitations, and the team was shifted to Warsaw. ii) Business/Revenue contribution made by the center. Revenue contribution by the technologies or products developed at a center is directly proportional to the dependency on the center. In 2016, Microsoft shut down MSN China, its web portal for China, to focus on products with more revenue potential. This is a case of low revenue dependence on products being developed in MSN China. iii) Ecosystem relationships established by the center such as customer relationships, partnerships with University, Start-ups, local companies. Ecosystem network effects are immense when companies depending on each other are in proximity. Take the case of Wells Fargo, JP Morgan Chase, and Goldman Sachs, all of whom have major tech arms in Bangalore. So do those who provide banking software to them – Broadridge, Fiserv, and Misys; as also those who provide their enterprise software – SAP, Oracle; and those who provide their IT infrastructure platforms – Microsoft, Dell-EMC. Take the case of this global company we worked with. It had expanded locally by outsourcing engineering work through a local partner at one of their global centers. Due to the heavy reliance on partners for continuity of work, it became risky to transition work out of this location while they were trying to rebalance their R&D footprint. Measuring the dependency allowed for the company to take a staggered transition approach while minimizing the risk to and impact on business. What are the initiatives and profile building measures done by the center? As a company expands its global R&D footprint, often, it is unable to give equal attention to the global centers due to complex business portfolios, different levels of geographical proximity, and cultural diversity. This a commonly occurring scenario. The centers and their respective managements which ‘take charge,’ i.e., take up initiatives to build their perceived importance, garner attention, build higher dependency in the company if the initiatives taken by them benefit the organization. Initiative-taking is usually an extension of or departure from the given mandate. While working with a known global company, we came across a center that identified new business opportunities locally for the organization in a new vertical, healthcare. The center developed the business idea and presented it to HQ/parent company. The parent company has now taken this up as an upcoming business opportunity. Taking up this initiative has led to the global center creating a new dependency as it lays the foundation of a new business for the parent company, and the management has garnered credibility and attention from the HQ. It is important to note that some initiatives can lead to negative profile building as well. The net positive effect of profile building efforts made by a center generates dependency on that center. As mentioned above, every organization going through the rebalance of the R&D has some key objective(s) in mind. It could be cost-cutting, recrafting the organization to drive organic innovation culture, building in-house R&D capability, to name a few. 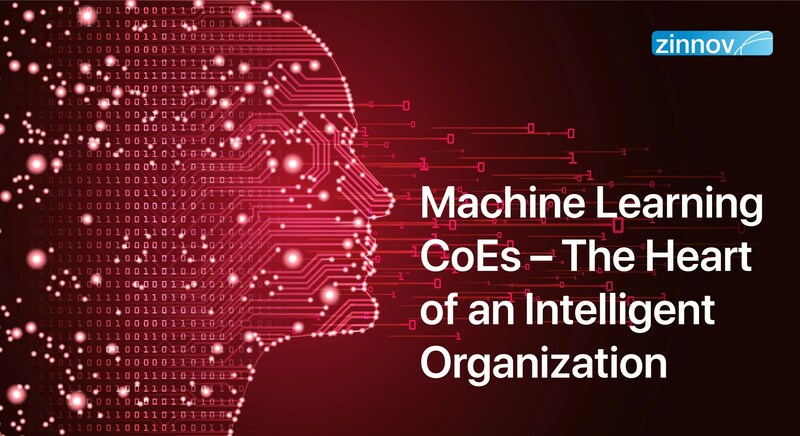 Once the ‘scale of operations’ and ‘initiatives and profile building measures done by the center’ are identified, it needs to prioritize which factors determine higher dependency, given the key objectives. Zinnov’s GE 2.0 framework can help quantifiably determine the dependency of the HQ on the center, as shown in the illustrative visual 1. In this illustrative example, the R&D organization has a higher dependency on centers F and C relative to center B or E. Using a common scale to measure all centers enables the HQ to understand relative dependency on each global center. In essence, understanding the dependency on a global R&D center is critical before implementing any transformational initiatives to grow, restructure or consolidate operations at the center. Dependency on a center is a collective representation of the scale of operations at the center and the net positive effect of initiatives and profile building measures taken by the center. 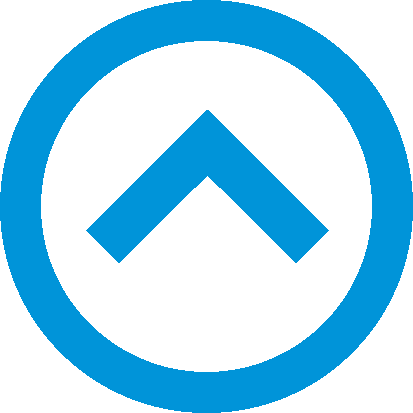 The approach allows to measure dependency of all centers on the same scale, and hence, gives a clear view of relative dependency of the parent company on its global centers. It also helps identify key risks that are associated with the transition initiatives and take mitigation measures to minimize the effect on continuity of business while steering the R&D organization to new growth potential. How dependent is the R&D organization on its global center(s)? What factors determine the transformational initiatives that the HQ should take? Write to us at info@zinnov.com to know more about Global Engineering and how it can help transform your R&D center. How valuable is the global center for the HQ? Is there a way to measure the latter's dependency on the former? That's where Global Engineering helps.